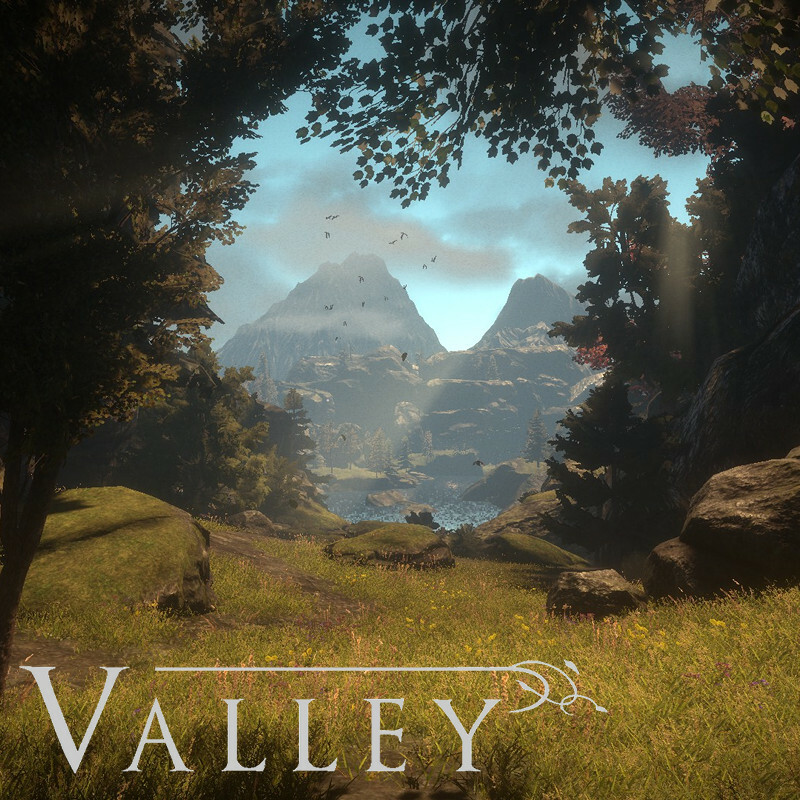 Valley by Blue Isle Studios was… not entirely what I expected: I thought it was going to be a pretty calm exploration game with cool mechanics — which it also sort of kind of was, but it was also… a bit more. It started as an exploration game with great vistas, turned into urban exploration with cool mechanics and platforming and combat and running super fast while forgetting which way is down and random detour with boss fight and not being able to lose weight and instead drowning and spooks and so on… Then it ended as something else. There is a little bit of everything causing a slight lack of focus. I really enjoyed the exploration part of the game (some of it also had great verticality) and using the exoskeleton thing, the L.E.A.F. suit, was great fun. Those two were definitely the game’s strong points, and I think it could still have been a full game if the developers had focused on the exploration (there’s a lot of variety and all the different vistas are a joy to experience and explore) and the suit (which offers a lot of action and cool parkour moves (which just got better and better the longer I played, delivering many of my favourite moments in the game)). I can’t shake the feeling that this is what the developers aimed for originally, but then someone got worried that the players wouldn’t enjoy it if it didn’t also have combat added to it, so that’s what they did, and the combat is the game’s weakest point: I didn’t mind it so much, but it distracted from the main game and didn’t feel like an integrated part of it. The boss fight came pretty much out of the blue and felt like filler. I think it was meant to end one of the story arcs, but it came at a moment when I was really invested in the other story arc, so the game sort of went from 100 to zero in just a split second. I think it could have been skipped or moved somewhere else¹. The game was building up towards one last, huge crescendo at the last factory, but then tainted it a bit by suddenly losing focus. The blurred focus can be noticed throughout and the game switches back and forth a lot, but the exploration and the suit were always there to make it worth continuing. The life and death mechanic was a bit of a wasted opportunity, because we never ran out of fuel (since it autoregenerated), so there were never any difficult moral choices (like “do I kill Bambi here and take the easy shortcut, or do I not kill Bambi here and take the longer, more difficult route?”). The story wasn’t too bad, a bit cliché, but okay. It felt a lot like satire towards the end with its crazy science guy and the Fallout-like, mock 1950’s art style of the in-game briefing films). The mystery of what happened in the valley you’re visiting keeps you going. The music wasn’t my thing (not bad, but not exactly to my taste). Can I recommend it? I don’t know. It’s a hell of a crazy ride³: I was never bored and the good parts made it worth playing. If you’re ready to just tag along, relax, and ignore the flaws, then I think you will enjoy it too. Be like a kid in candyland and you’ll be fine. If you want a challenge or dream about the games of yore, this is not the game for you: it does show signs of being a “contemporary” game (i.e. busy HUD, quest markers, and overpowering the player). If you want realism above all else or shun “gameyness”, you might not enjoy it either. It’s a game that is hard to review. At some point I thought to myself “wtf game”, but then I decided to just go with it and have fun. The game adds a lot of cool stuff, mixes it in a bowl, and just “here you go, have as much fun as you possibly can”. It’s a bit like a day at the amusement park, where you had too much cotton candy and puked while riding the roller coaster, but you still remember it as the best day in your life even if you forgot most of the details. The developers are definitely talented and the quality shows, but, for your full enjoyment, you have to take the bad with the good, because the good is great and the bad isn’t so bad, but more like unnecessary. The game is like a wolf in sheep’s clothing, so don’t let the introductory parts fool you. ¹Maybe to before we enter the last factory complex, so that that part is left untainted, and the boss fight gets better connected with the part it was actually in relation to. That way the story about the original inhabitants could have been finished before moving on to finishing what I felt was the main story arc, namely the “crazy science guy” thing, and have the ending totally focusing on that part more than it did — although that would mean that the thing about “oh, hey, look, we built our modern factory on top of these ancient sacrificial grounds, what could possibly go wrong” would be less of a thing — unless it was moved to one of the many other factories, although maybe it could have been skipped(? ), because of the many other ways nature and the original inhabitants were already shown to be exploited and abused. ²So, the idea would be to have either skipped the combat and focussed more on the game’s main selling points, namely the suit and the exploration, making it more of an exploration adventure game with parkour action (the effort spent on adding combat could then instead have been spent on the suit and telling us more about the original inhabitants, and maybe tone down the crazy science guy part); or to have extended and integrated the combat throughout, making the game more of an action adventure game with fighting (focusing more on the suit and the crazy science guy part, and less on the original inhabitants). Maybe. Maybe not. Posted in Indie, Review.Tagged 3D, action, adventure, exploration, First Person Exploration, FPEG, indie, parkour.